Naser is an Emirati tour guide who speaks Arabic and English. 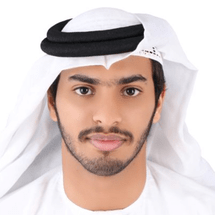 Although he holds a Bachelor Degree in Mechanical Engineering, his main passion and driving interest is in tourism, culture and Emirati traditions. Naser is a very active, passionate, and qualified guide who is excited to meet new people from different backgrounds all over the world and share experiences with them. In addition, he is First Aid-certified and is part of the Emirati "Meet the locals" initiative.